This month we are looking at the range of APR products for the ever popular Volkwagen Golf MK7. As a APR Main Dealer we can fit these products in our Newport South Wales workshop. Gwent VW is pleased to present the APR’s Cast Inlet Downpipe Exhaust System for AWD 1.8T and 2.0T vehicles! 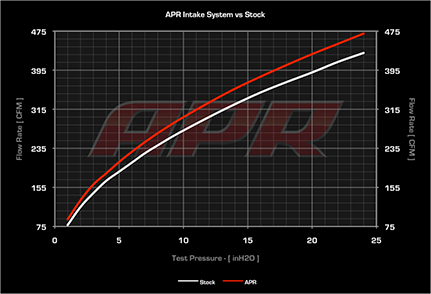 APR’s ECU Upgrades are the best value-per-horsepower modification one can make to the 2.0T engine. The upgrades dramatically increase horsepower and torque, making for an exceptionally quicker and more exciting vehicle. This is made possibly through APR’s optimization of the factory engine management system to take full advantage of the engine’s capabilities, without needing any end user adjustment. The software loads to the factory ECU through the OBD-II port, resulting in a clean and headache-free install. APR’s ECU Upgrades are available in multiple stages and torque levels, supporting various octanes both with or without any hardware or transmission modifications. Specific software is available for use with a high flow downpipe exhaust system, while all stages are fully compatible with an upgraded intake, intercooler, catback exhaust, or other minor bolt on modifications. Finally, each stage is offered with special “Low Torque” software, designed to limit peak torque for use with an unmodified factory manual clutch, or DSG transmission. 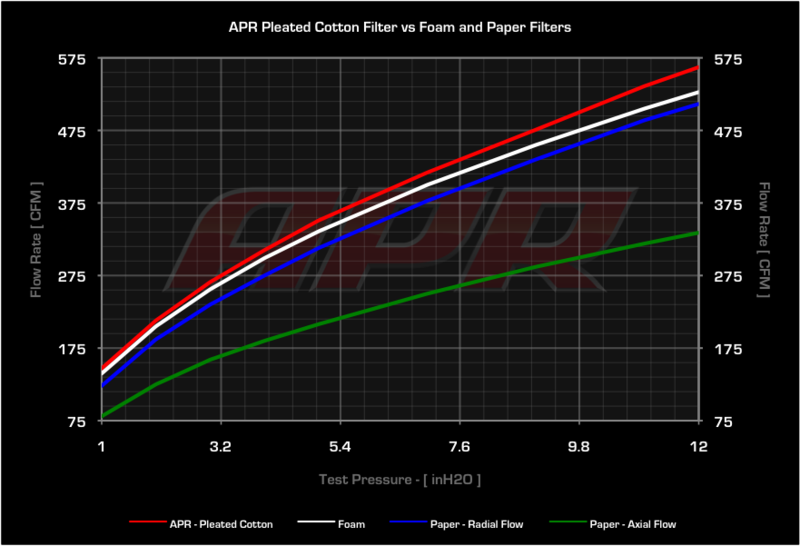 The APR Stage I ECU Upgrade is the first step towards making more power! This simple upgrade requires no engine hardware modifications, and produces 357-381 HP with 349-392 FT-LBS of torque. Gains as high as 66-93 HP and 68-109 FT-LBS of torque are available throughout the power band, making the vehicle exceptionally quicker in all scenarios. The upgrade is offered in both high and low torque versions, and is available for various fuel grades. The high torque upgrade may require an upgraded clutch, or APR’s TCU Upgrade to avoid clutch slip, so low torque software is available, offering an impressive 349-366 FT-LBS of torque. To get more power, the vehicle can be outfitted with an upgraded intake, intercooler, catback exhaust and other small modifications without requiring any new modification to the ECU. To run an upgraded high flow downpipe exhaust system, APR’s Stage II ECU Upgrade is required. APR recommends using colder heat-range spark plugs (Ex: NGK-R7437-9), properly gapped to a tighter gap (Ex: 0.024″ ±0.002″ or 0.6mm ±0.05mm), properly installed and torqued (Ex: Per the manufacturers specifications), and maintained with a shorter changer interval (Ex: 10,000-15,000 mi or 16,000-24,000 km). 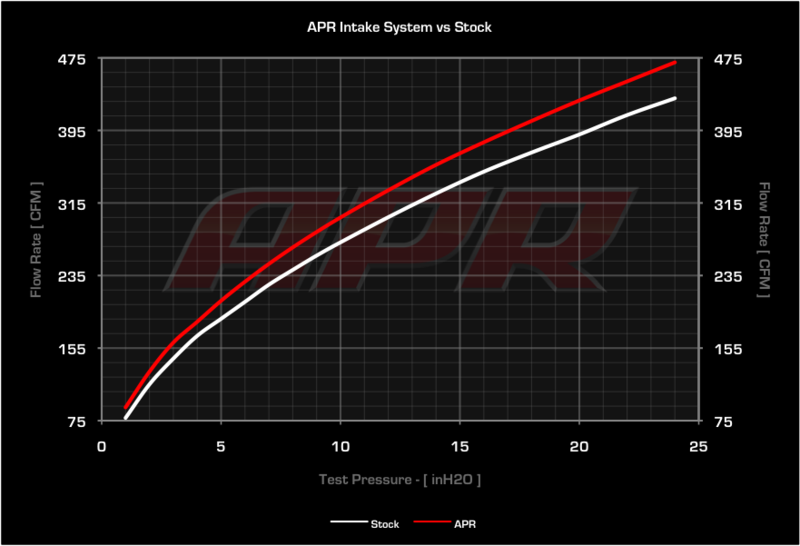 The APR Stage II ECU Upgrade is the next step towards more power! This upgrade requires a high flow downpipe exhaust system, and produces 372-387 HP with 367-409 FT-LBS of torque. Gains as high as 86-104 HP and 82-125 FT-LBS of torque are available throughout the power band. The upgrade is offered in high, medium and low torque versions, and is available for various fuel grades. The high torque upgrade requires, and the medium torque upgrade may require an upgraded clutch or APR’s TCU Upgrade to avoid clutch slip, so low torque software is available, offering an impressive 367 FT-LBs of torque. An upgraded intake is required to meet the advertised low and medium output power figures, and an upgraded intercooler is required to meet the high output power figures. No ECU modification is necessary to run an upgraded catback exhaust system, or other small engine modifications. APR recommends using colder heat-range spark plugs (Ex: NGK-R7437-9), properly gapped to a tighter gap (Ex: 0.024″ ±0.002″ or 0.6mm ±0.05mm), properly installed and torqued (Ex: Per the manufacturers specifications), and maintained with a shorter changer interval (Ex: 10,000-15,000 mi or 16,000-24,000 km). 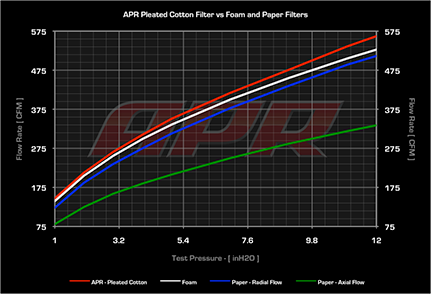 For more information on APR’s product range visit this link.